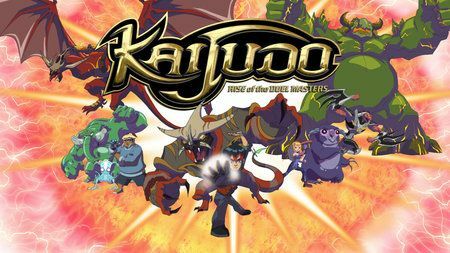 You will Watch Kaijudo: Clash of the Duel Masters Season 2 Episode 17 online for free episodes with HQ / high quality. Stream cartoons Kaijudo: Clash of the Duel Masters Episode 43 Forest for the Trees. A dream warns Ray of a new danger in the Nature Realm and he and his friends cross the Veil to help. While there, Ray also searches for the Mystic who might be able to give him the healing spell he has been looking for when Homunculon starts to slowly take over Saguru’s mind. Meanwhile, The Choten leads Master Brightmore, Heller, and Carny into using the Bladefish to help harvest the horns of the Rumbling Terrasaurs.